Stanford, Calif. — On view for the first time in the United States, “The Jameel Prize: Art Inspired by Islamic Tradition” opens December 12 at Stanford University’s Cantor Arts Center. This special exhibition presents the work of 10 artists selected as finalists for the prestigious Jameel Prize, an international award bestowed by the Victoria and Albert Museum in London and sponsored by Abdul Latif Jameel Community Initiatives. The Jameel Prize, awarded for contemporary art and design inspired by Islamic tradition, encourages the exploration of long-established practices of Islamic art, craft and design within a contemporary framework. The resulting exhibition demonstrates that artists can and do use these traditions in ways that are vividly relevant to the contemporary world. 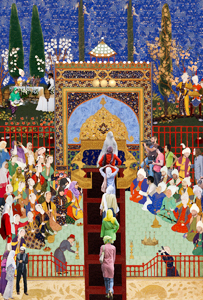 The prize also fosters a wider debate about Islamic culture and its role today. The Jameel Prize is truly international. Awarded every two years, it is open to all entrants and not restricted to Muslims or those from the Islamic world. Entry for the Jameel Prize is by nomination. For the 2011 Jameel Prize, the names of almost 200 artists and designers were put forward from countries as diverse as the United States, Spain, Nigeria, Egypt and Pakistan. From this list, 10 finalists were selected, with one chosen as a winner for a prize of 25,000 British pounds, or approximately 35,800 U.S. dollars. This exhibition presents art by all 10 finalists, more than 20 works that draw on the artists’ and designers’ own local and regional traditions, celebrating particular materials and iconography with strong references to traditional Islamic art. The artworks on view range from felt costumes to sculptural installations made from handmade terracotta bricks, from mirror mosaic to digital collages inspired by classical Persian miniature paintings. In many of the pieces, there is an underlying reference to the artists’ own “hybrid” cultural identity, in addition to the contrast between old and new, minimalism and ornament, home and exile. 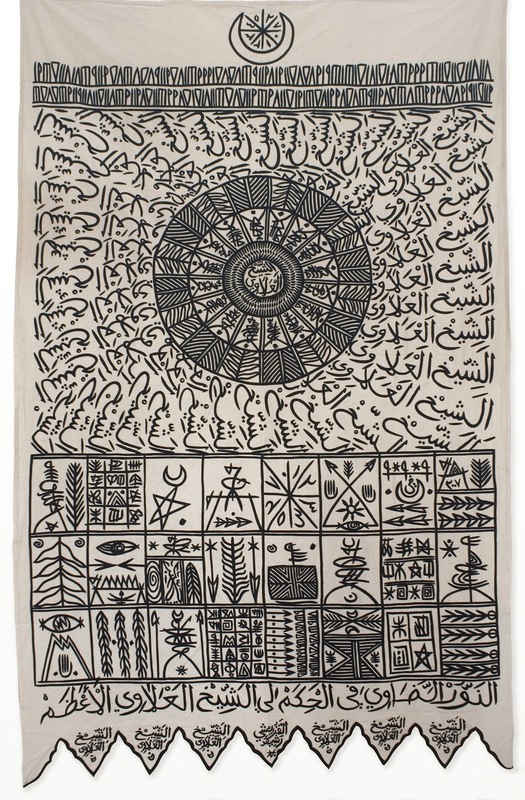 Rachid Koraïchi won the Jameel Prize 2011 for his series of embroidered cloth banners entitled “Les Maitres invisibles” (“The Invisible Masters”), made in 2008. Koraïchi uses Arabic calligraphy and symbols and ciphers from a range of other languages and cultures to explore the lives and legacies of the 14 great mystics of Islam. These “masters” include great Muslim thinkers and poets such as Rumi and EI Arabi, whose teachings have spread even to the West. The exhibition continues to March 10, on view in three spaces at the Cantor Arts Center. Koraïchi’s banners hang prominently from the Geballe Family Balcony, over the Cantor’s main lobby. The other works are presented upstairs in the Ruth Levison Halperin Gallery and the Lynn Krywick Gibbons Gallery. The exhibition is organized by the Victoria and Albert Museum London (V&A) in partnership with the Abdul Latif Jameel Community Initiatives. We also gratefully acknowledge the support of Cantor Arts Center Members and the Sohaib and Sara Abbasi Program in Islamic Studies at Stanford University, which has made possible the exhibition’s presentation at Stanford. 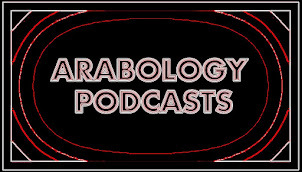 Related events include a Spotlight Talk by a graduate student on Friday, January 11 at 2 pm and a Artist's Talk by Rachid Koraïchi on Thursday, January 24 at 5:30 pm. On Thursday, February 7, beginning at 5:30 pm, a panel of experts will engage in scholarly debate about contemporary Islamic art. “Axis of Light,” a 60-minute documentary film about eight artists from the Middle East, including Rachid Koraïchi, will be shown; event details to be announced. The programs are open to the public with free admission.